By the end of the XIXth century, the Ottoman Empire was only the shadow of its former self, and a political movement led by nationalistic young officers influenced by foreign powers, the “Young Turks”, which ended the Sultanate in a coup that deposed Abdul Hamid II. The irony in this is that the Sultan ordered the first armored vehicles of the Turkish Army, four Hotchkiss model 1909, which were seized en route to Istanbul (Constantinople) by the Young Turks and proved very useful in their struggle against loyalists of the Army. However, it would be years before the Turks considered using armored cars in combat (the model 1909 was only ordered to deal with rioters in the capital). Another important episode in this troubled period, which was also partly responsible for the regional tensions leading to the assassination of Franz Joseph I and the start of ww1: The Italian-Turkish war (1911-1912) and the Balkan war (1912-13). This was before ww1, the first conflicts in which all three machine guns, planes and armored vehicles were actually used in combat. In this struggle, Greeks and Turks were opposed in Asia Minor, the Aegean sea, and Bulgaria, but also Turks and Italians in Africa. Interestingly enough, it saw the first aerial bombardment, by an Etrich Taube aircraft on November 1st, 1911 and the first engagement of armored cars, the Italian Fiat Arsenale (only 2 made). 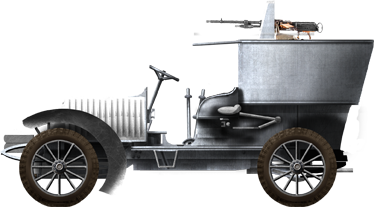 The Greeks also used some older French Charron model 1903 but the Turks seemed to not have ever used an armored car themselves. The Hotchkiss model 1909, first Turkish armored vehicle. At the start of the “war to end all wars”, the Turkish Army, just like the German Army was organized in a classic fashion with Army corps counting infantry, cavalry and artillery, including faster horse-drawn artillery units. Mobility was quite limited as rare cars and motos were only used for liaison and dispatches. Later on, an ambulance corps was established, that the use of armored cars was never seriously considered. According to a single (dubious) source, a few German Ehrhardt were sent to Palestine, used to support Turkish operations. Before that perhaps one of the numerous automobile transport units could have been escorted by a single (repaired) British armoured car left behind after the evacuation by British Forces at Bagbag and Sidi Barrani on November 23, 1915 (Dispatches of Lieutenant-General Sir John Maxwell, June 1916 – but himself thought the vehicle was German). The use of former vehicles in action in the Caucasus is also purely conjectural. Nothing more could be added to the 1920 war of independence on this topic. 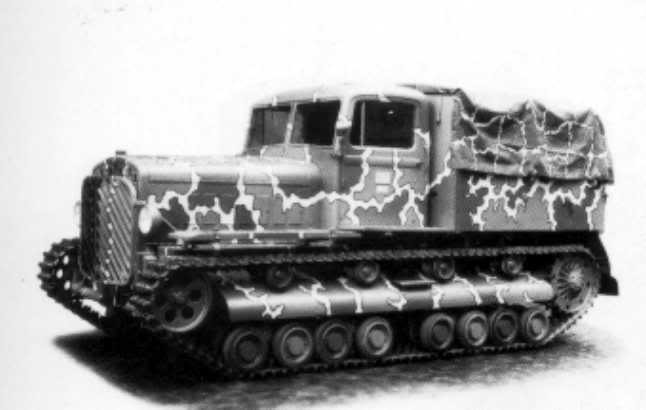 Skoda TH7 tracked artillery tractor. At the same period, the 1st armored brigade counted a mix of T-26 and BA-3/6 armored cars. 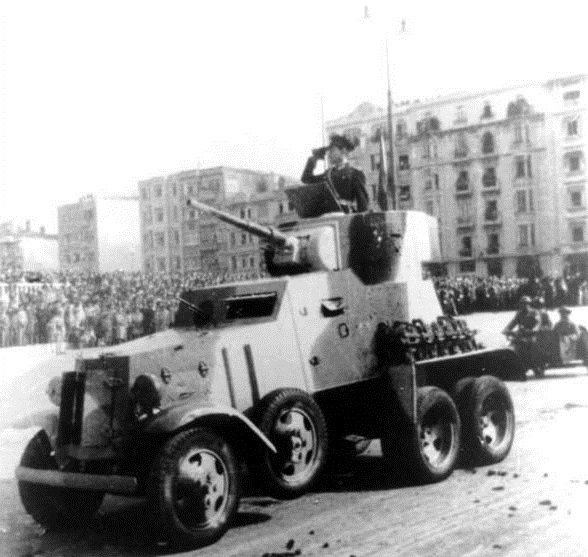 Turkey was the first country to actually purchased Soviet-built vehicles, ZiS 6×4 trucks in 1936-37, and before Bussing-Nag trucks from 1933 and Ford trucks from 1935 which constituted the core of motorized units. At least several tracked vehicles, of the Praga TH6, TH7 models were also used as tractors for heavy artillery from 1936-38. According to the Turkish Wikipedia and defense magazine “Savunma ve Havacılık sy. 2000-05, sa.82/83, a few Renault FT were purchased in 1928 to be given to the Infantry Gunnery School in Maltepe/Istanbul for evaluation and training. By 1932, several T-26 and T-27 Tanks were also purchased and eventually, the first armored battalion (“Tank Taburu”) was established in 1934 in Luleburgaz, under the command of major Tahsin Yazici. Apparently, an order was passed for 60 Soviet T-26 model 1933 (two twin-turreted T-26 mod. 1931 were also presented) which formed the 102nd and the 103rd Companies, and 34 (or 60) Soviet BA-6 which formed the 2nd Cavalry Division. It was followed by the formation of an armoured brigade in 1937, and eventually, this formed the base of the foundation of the first armoured regiment (1. Zirhli Alayi), still at Lüleburgaz in 1940, while 100 Renault (FTs or R35 depending on the sources) were ordered from France, as well as 16 Vickers light Tanks Mark 6B, added to the already existing Soviet tanks and ACs. Although Turkey remains neutral in ww2, it was courted either by the two neighboring European superpowers of the time, Nazi Germany (then with a solid foothold in Africa and strong presence in the Balkans) and USSR. In 1942, the 1st Armoured regiment was relocated to Davutpasa Barracks in Istanbul. By March to May 1943 the Germans tried to incite Turkey to attack USSR and delivered by order from Hitler 56 Panzer III Ausf.J/H (model armed with a 50 mm gun) and 15 Panzer IV Ausf G. But Turkish authorities did not make any promises. These tanks formed the 6th Tank Regiment (Ankara). So much so that in late 1943, two new brigades were funded in Nigde and Selimiye Barracks (Istanbul) while the 1st was renamed 3rd Armoured Brigade and was equipped with allied tanks. At that time, the allies tried to drag Turkey on their side, allowing them were to be re-equipped with 25 M4 Sherman, 220 M3 Stuart tanks from the US, and 180 Valentine, 150 MK 6 light tanks and 60 Bren carriers from UK. Opening an alternative lend-lease supply road to USSR was also a strong consideration as well as containing a possible extension of the German (and later Soviet) influence in the region. 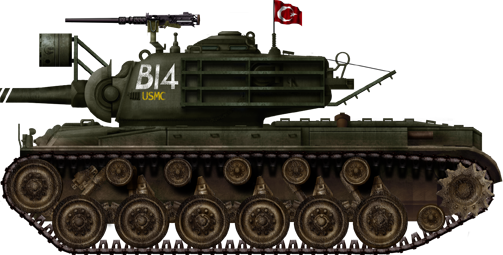 Eventually, these mixed tanks formed the basis for the 3rd Armored Division in 1944, based in Istanbul (1st and 6th Regiments). This unit comprised T3 and T4 tanks (Renamed Panzer III/IVs) and was allocated a recce battalion equipped with 23 a recce battalion a company of 23 Daimler Dingos. Interestingly enough, although Turkey maintained an uneasy neutrality on the edge of the mighty Soviet Empire, the Turkish army also participated under the UN banner in the coalition defending South Korea. The Turkish brigade, 5000 strong (supported by tanks) was deployed here and lost 731 deaths in combat, distinguishing itself in the battles of Kunu-ri where its action was credited to save the encircled U.S. 2nd Infantry Division and the battle of Gimnyangjang-ni (Operation Ripper) or the fourth battle of Seoul (Operation Vegas). Eventually, this alignment led Turkey to officially join NATO on February 18, 1952. M46 Patton, 1st USMC in support to the Turkish brigade, Korea July 1953. The Greek military Junta indeed backed a coup organized by EOKA-B and led by Nikos Sampson which ousted the recently elected democratic president Archbishop Makarios III, trying also to establish a future integration of Cyprus into Greece; Turkey invaded Cyprus in July 1974 to reestablish order and the elected president, with two landings in force. The operations comprised mostly infantry, with little armor, but massive air and naval support. A second offensive began in August, whereas to weight in the discussions just started between Greek and Turkish Cypriot authorities in Geneva. Although the government asked for a UN backing, only peacekeeping forces were sent locally but failed to prevent a major offensive this time massively supported by tanks, which was successful in a matter of days, spearheaded by the 28th and 39th Infantry Divisions. Peace negotiations led to a partition between Northern Turkish Cypriots and Southern Greek Cypriots. Tensions gradually eased up after the fall of the military Junta in Greece, ended in 1974 for the most, but Turkish troops are still maintained here today. 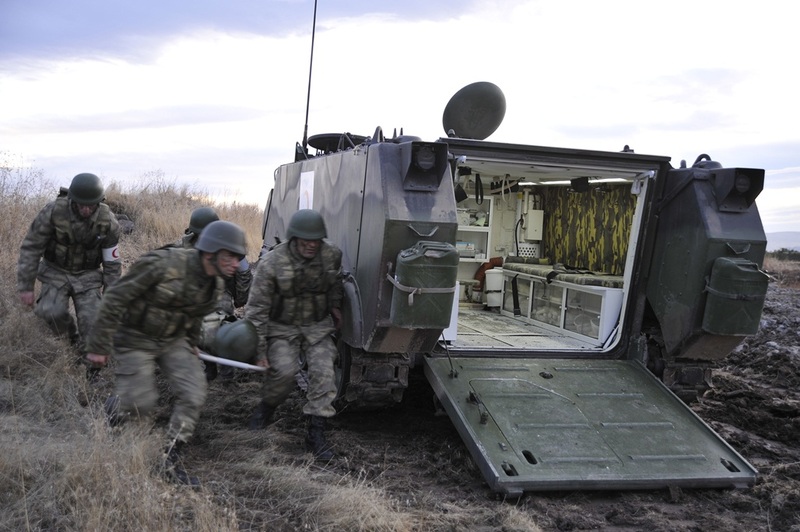 The same year, the operations have shown some shortcomings in the Turkish Army, that were to be fixed by major reforms; The First, second and third armies under the under the NATO Headquarters Allied Land Forces Southeastern Europe (LANDSOUTHEAST). After 1990 it was briefly the Joint Command Southeast and eventually became the Allied Air Component Command Izmir in 2004. 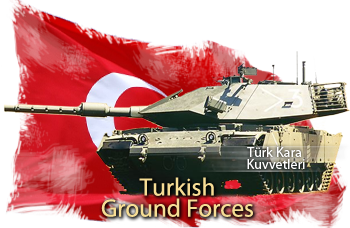 By the 1980s the Turkish armored forces reached a peak with a total of 3570 tanks, for one armored, two mechanized and fourteen infantry divisions. By 1990, the army was deployed on the frontier with Iraq but shown some deficiencies of strategic deployment in distant areas. A wide restructuration which begun in the fall of the 1980s was amplified in the 1990s and continued until today. In the early 1980s, Turkey was overwhelmingly equipped with the M60. It was even its most prolific user outside the USA at some point. Some were modified and modernized by the local industries, and eventually, the Israeli-built Sabra was purchased, which was the most radical upgrade of the type so far. But by adopting the Leopard Turkey added to its armored forces a more modern and potent asset, with 170 A1s and 227 A3s purchased in separate batches in the 1980s. The Leopard 1A1s were already obsolete before the 1990s and a local upgrade was ordered, performed by local company Aseslan. The upgrade consisted of mounting the Volkan fire control system which improved the nigh/day/low visibility capabilities and greatly enhanced the first hit capabilities. This concerns now the 170 A1s renamed leopard 1T Volkan, assured to stay in service until 2020. 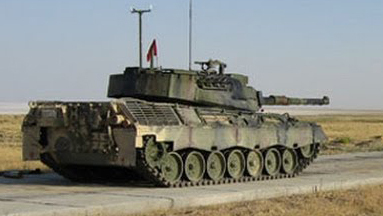 In 2005, the Bundeswehr offered surplus Leopard 2A4 to the export market and Turkey was soon interested, ordering no less than 354 of these for its armed forces where they constitute now the edge of the Armoured Divisions. The A4 is equipped with the “standard barrel” L/44 120 mm and boxy turret composite armor. Its design had some influences for the development of the Otokar Altay in 2007 (when the program was started) to 2012 with the start of the production. 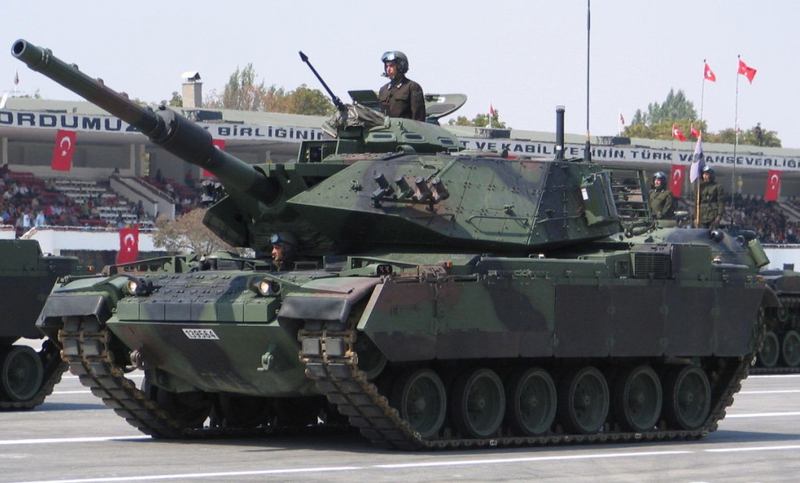 Turkey is one of the selected club of nations capable to design and built a main battle tank from the computer screen stage. This club includes so far the USA, Russia, Ukraine, China, UK, France, Germany, Japan, India, Italy and South Korea. The program was already discussed in the 1990s as to gain independence from foreign manufacturers and get rid of license, copyrights or export issues sometimes linked to government policies and regional context. 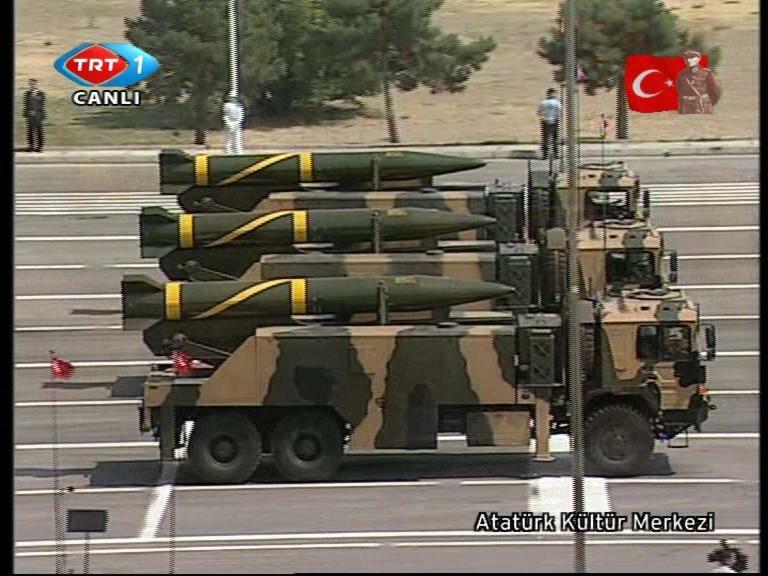 It was officially started by the Turkish MoD in 2007 and really started in 2008 for the initial design phase. 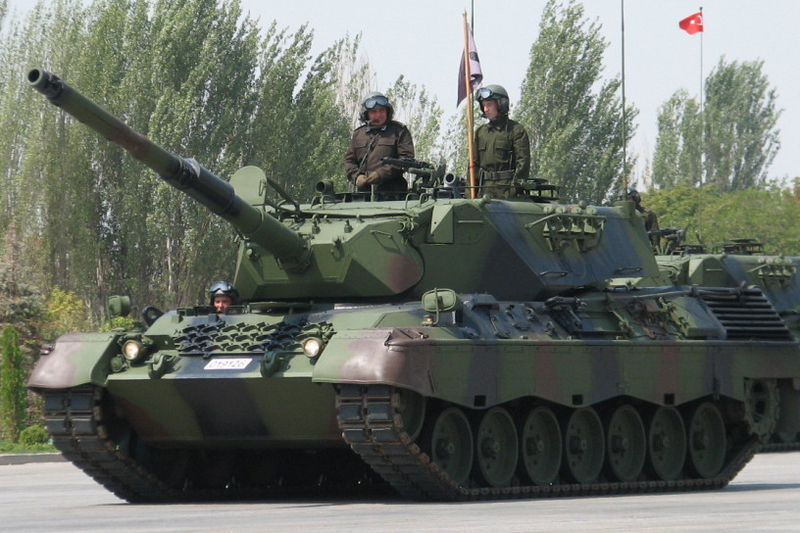 Supervised by the 1st Army Maintenance Center Command, it regroups the collective work of Aselsan for sub-systems and fire control system, MKEK for main gun system, Otokar as main contractor and final assembler, Roketsan for the composite armor package and Rotem for the technical support and assistance. So far only four were operational as pre-production tanks for testings and evaluations since 2012. Orders concerns the first batch of 250 scheduled for 2017 with an additional three in the next decades for a total of 1,000 to replace the M60s and Leopard 1s. In capabilities and performances, the Altay is comparable so far to any late 3rd generation MBT today. Only known as the “Next Gen APC” one of the biggest contract disputed between local manufacturers is about replacing the M113 and BTR-80s in service with a modern, versatile 8×8 vehicle. 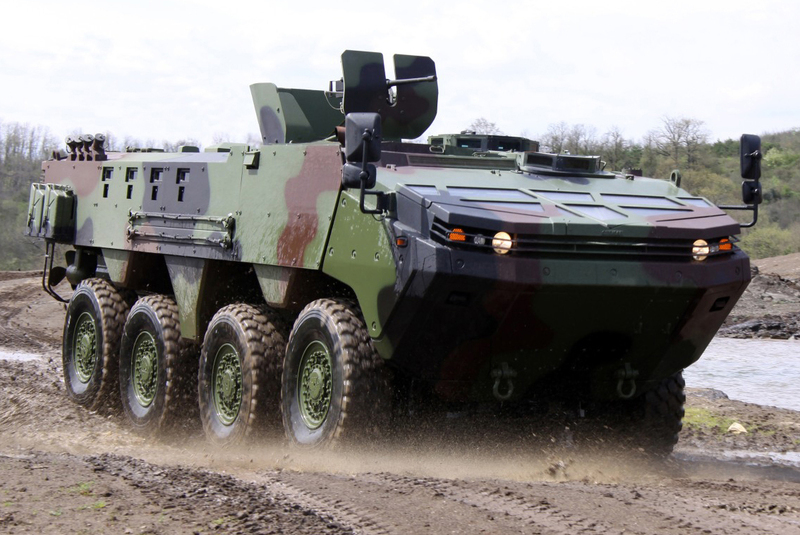 Two designs already competing for the title, the Otokar Arma and FNSS Pars. Competition has started with extensive comparative trials and the process will end in 2016 with the announcement of the winner. Estimated production will be probably on the order of 2,000 vehicles at least. 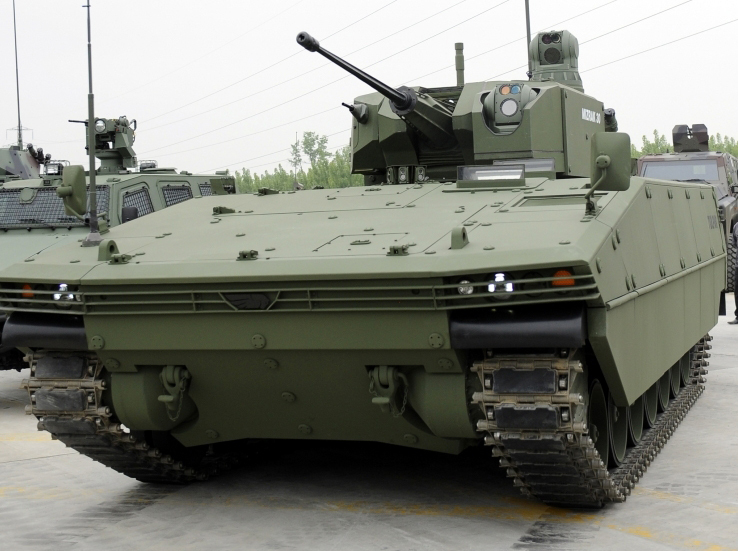 The other big contract is about Turkey next gen Infantry Fighting Vehicle (IFV) supposed to complement the Altay. It was in fact developed in 2011-2013 by the same time working on the Altay and reached prototype stage in 2013 as the Tulpar. So far two were built and are being evaluated. A first batch of 400 has been already provisioned. 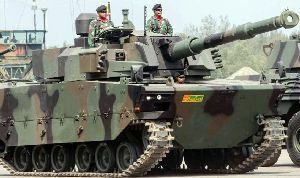 FNSS KAPLAN-MT/Harimau, the 70kph, latest Turkish light tank, armed with a CMI Cockerill 3105 turret and 105mm high-pressure gun. It is targeting export as an offer for this niche of the market with few real competitors but wheeled tank destroyers. Developed from 30 March 2007, prototype testings are scheduled for 2016, and it will enter service in 2018 (est.). Production will replace older M48/M60s for 1,000 units total. 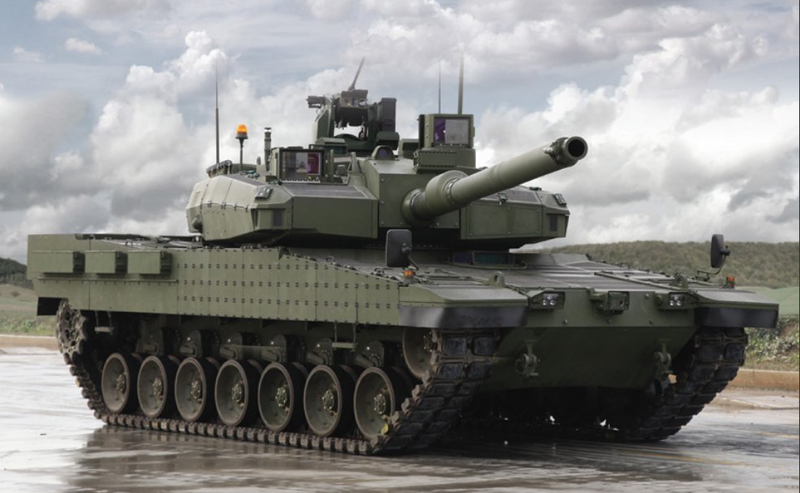 Its technology is partly based on the K2 Black Panther (technological agreement) but is a joint venture between Otokar (main contractor), Aselsan (sub-systems, FCS), MKEK (main gun), Roketsan (armor), and Rotem (tech support & assistance). About 354 Leopard 2 in service. 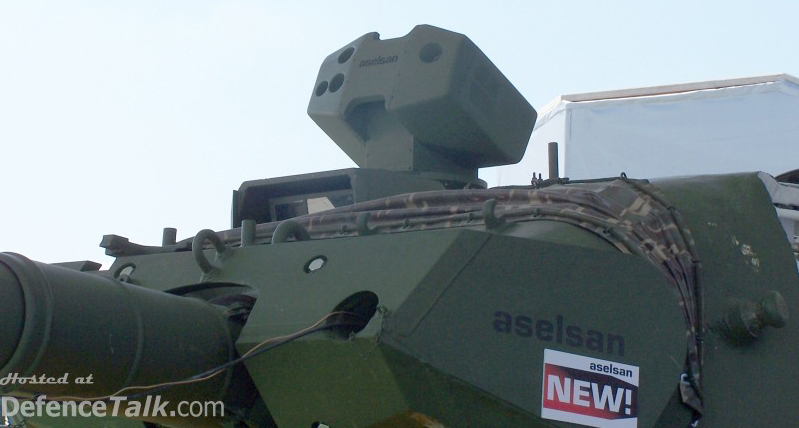 Current upgrade by Aslesan: Same level as the Leopard 2NG with the IBD Deisenroth add-on armor packages (like the Singaporean 2SG). Also comprises upgraded optics, overhauled turret mechanics and a new FCS (same as the Altay MBT). About 397 Leopard 1 in service, including 227 Leopard 1A3K and about 170 Leopard 1T Volkan modified with a modernized fire control system developed by Aselsan. Namely the latest iteration of the M60 Patton, fully modernized in Israel for export. Its only client was and remains Turkey. 170 in service, for 1646 M60s of all types. See cold war section for M60s and M48s still in service. (1992) About 2245 produced in association with DefTech Malaysia. 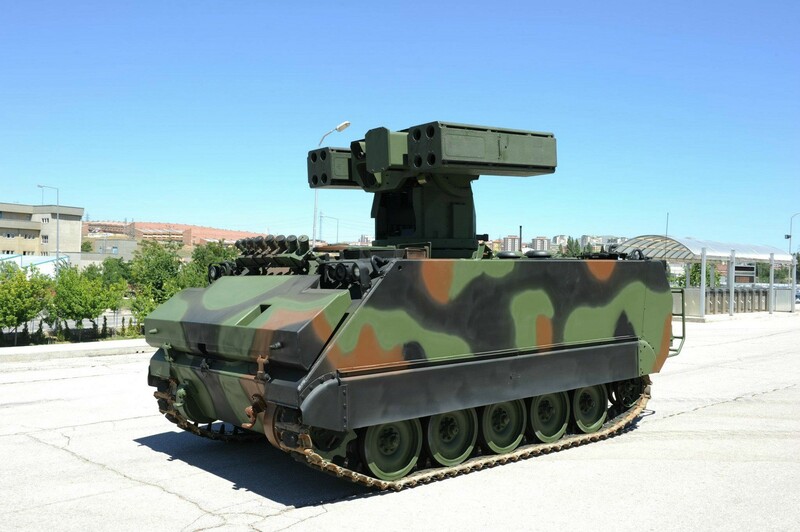 Main Turkish tracked APC/IFV derived from the AIFV family. Replace older M113s still in service. 650 ACV-AIFV in service, and 1,550 ACV-AAPCs. (2010) A family of 6×6 and 8×8 wheeled APCs developed by Otokar. For the moment only targeted for export, so far Azerbaijan was declared interested. 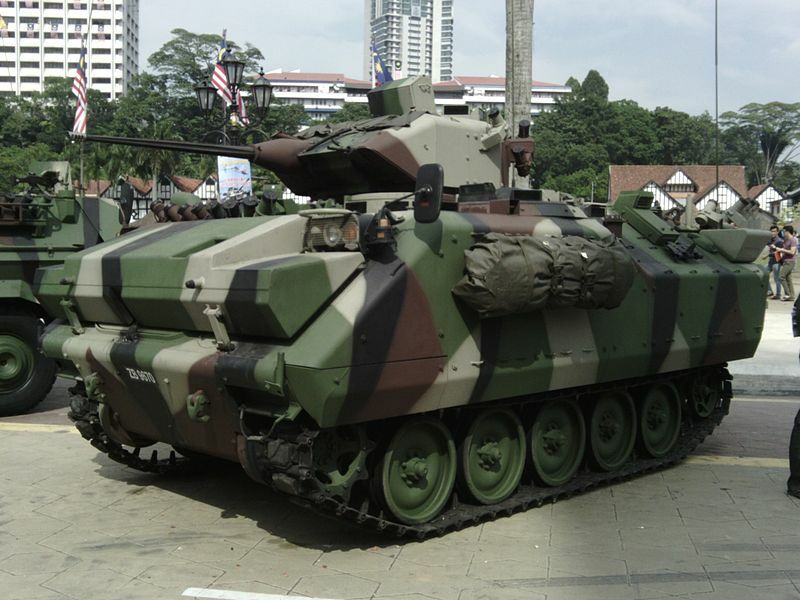 The Arma is competing with the Pars to obtain a major contract for the replacement of the M113 and BTR-80 APC fleet which is supposed to end in 2016. 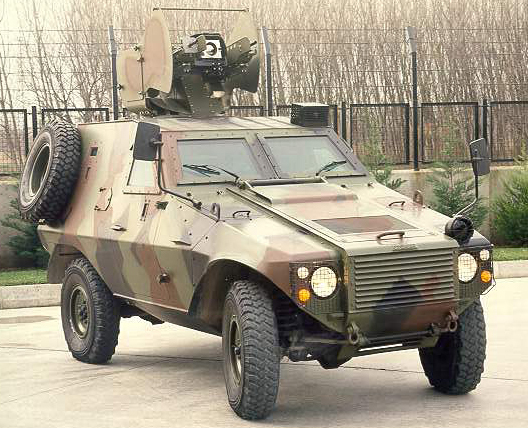 (1997) This is the modern light main recce/MRAP vehicle of the Turkish Army, produced to an extent of 1,200 vehicles so far and well exported. (2013) IFV. Current programme by the same team responsible for the Altay. The first batch of 400 expected. (1994). Light reconnaissance vehicle developed by Otokar. 370 are in service with the Turkish, many more were exported to far. 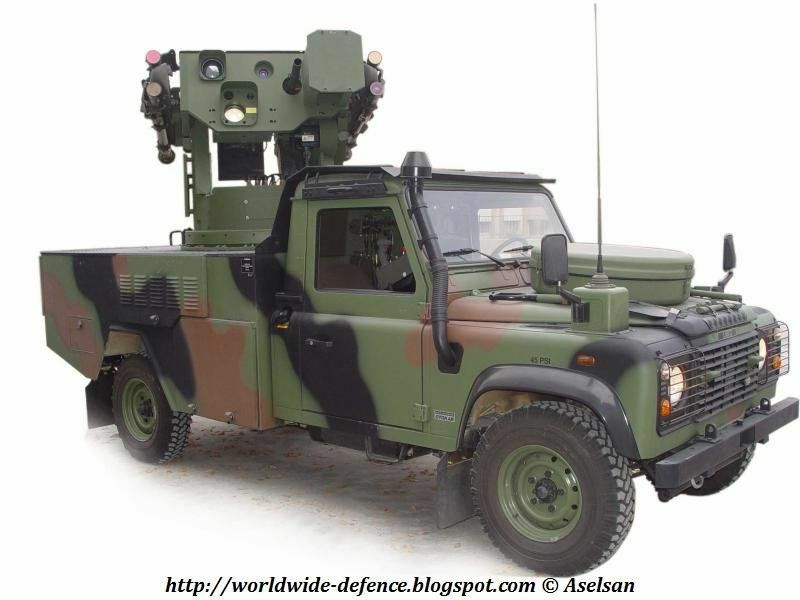 Local modification by Otokar and licence production, Fast attack vehicle based on Land Rover 110. Developed in 1998-2000 with South Korea, production started in 2001 with an ongoing order for 350 units. Co-developed with USA, based on the M113A3, 150 are in service so far. 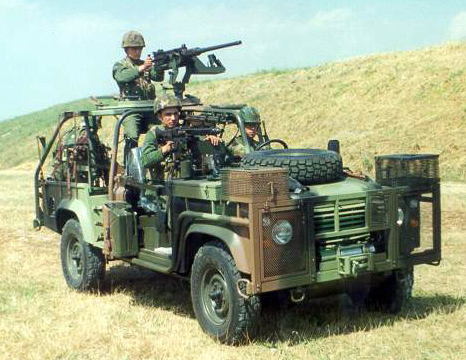 Co-developed with USA and UK, based on the Land Rover defender, 80 are in service so far. Here an M60A3 TTS in the 1990s. 1646 in service (104 M60A1, 753 A3 and 619 A3TTS). Here a modernized M48 T5 in 1985. 1377 in service, 619 modified A5T1 and 758 A5T2. The main Turkish tracked APC until the 1990s (and still today pending its replacement by the new wheeled APC programme, see above), partly replaced by the FNSS ACV-15 AAPC. 2,813 were in service of several versions by the 1980s. 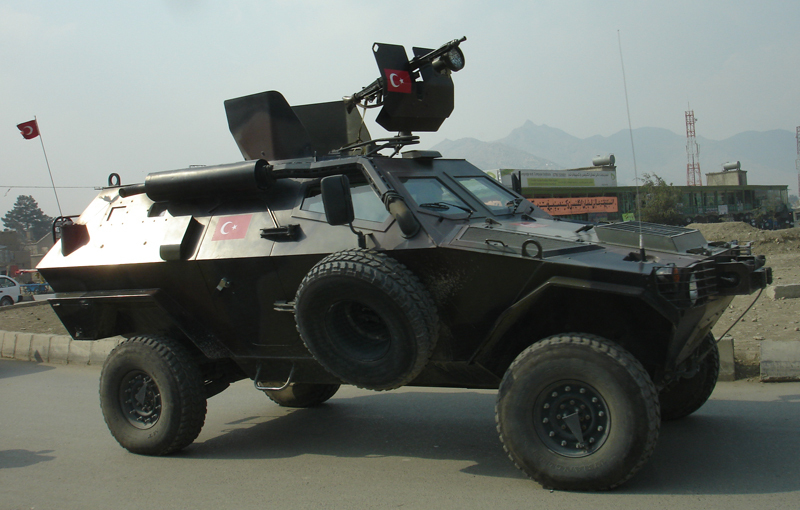 Main Turkish 8×8 APC. 536 were purchased from Russia an delivered between 1993 and 1999. Co-produced with Germany. Tactical Ballistic missile launcher, unknown production so far. Other foreing equipments includes the LAV-150 armoured car (124), MGM-140 ATACMS MRLS, TOROS MLRS (Co-developed from the Yugoslavian M-87 Orkan), M270 MLRS (12), T-122 Sakarya MLRS (unarmoured-developed from the BM-21 with German parts), locally designed RA-7040 MRLS, M110 SPG (203 mm, 219), M107 SPG (175 mm, 36), M109 SPG (unknown), M52 SPG (362), M44 (164), M108 SPG (26), M42A1 Duster (262, to be retired), M88A1 ARV (33), M48A5T5 Tamay (co-developed with US, 105 in service), AZMİM local dozer version of the M9ACE, Leguan AVLB (36), and the SYHK amphibious bridging vehicle developed with Germany. Heavy duty armored trucks of the US PLS and HEMTT are also in service (unknown numbers).